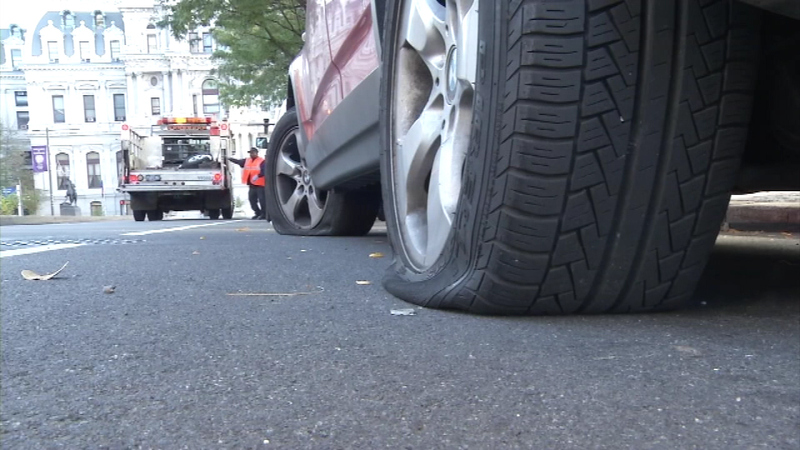 More than a dozen vehicles were hit by a tire slasher near Philadelphia City Hall. 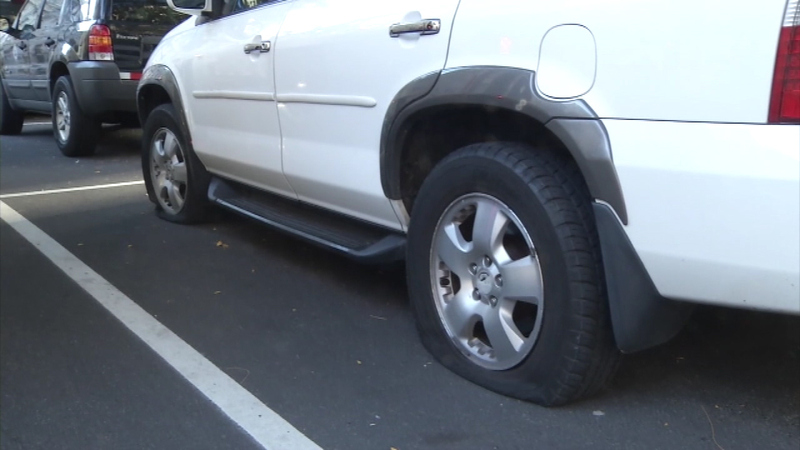 CENTER CITY (WPVI) -- Police say a man slashing tires in Center City Philadelphia was caught in the act late Friday night. 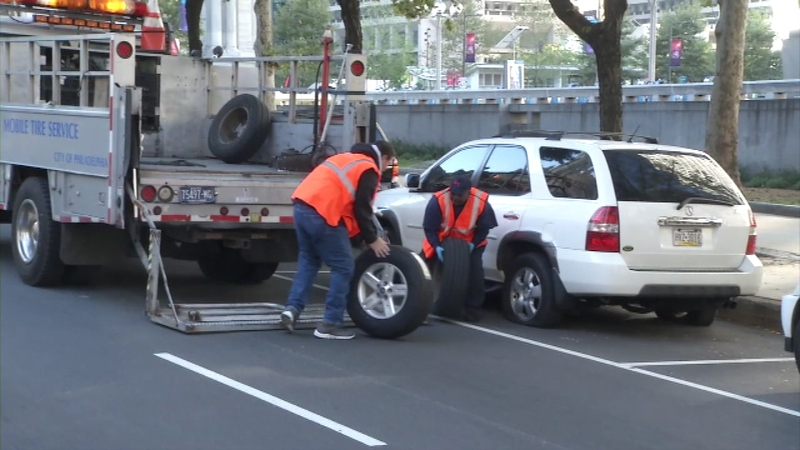 It was around 11:40 p.m. when plainclothes officers saw a man with a knife slashing the rear tire of a city-owned Ford Escape on Arch Street near City Hall. Police say he then began slashing a front tire. That's when the officers approached the man and took him into custody. 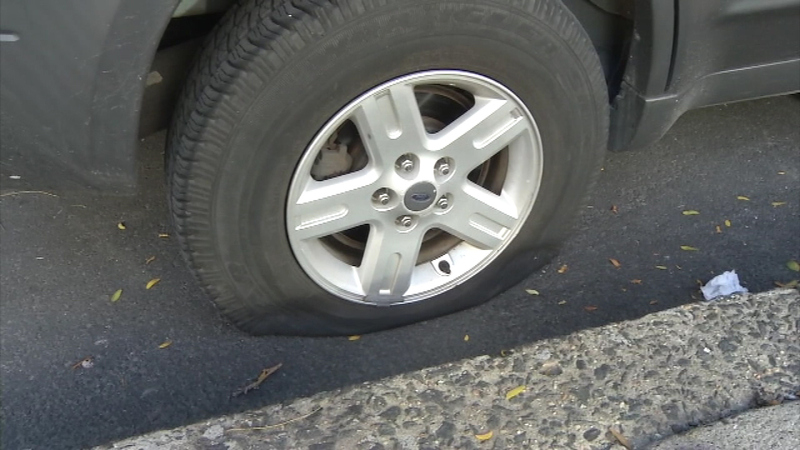 Police say witnesses told the officers they saw the man slashing tires of two black SUV's on JFK Blvd., which were also city-owned. 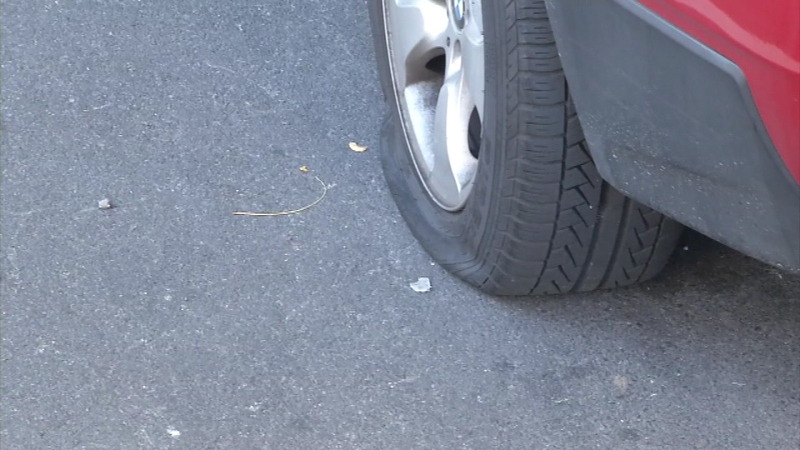 In all, police say 16 vehicles had slashed tires. Of those, five belonged to the city, while the rest were private vehicles. The name of the man take into custody has not been released.